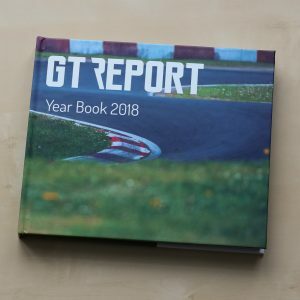 Against all odds, on 14 July 2015 Nick Tandy, Earl Bamber and Nico Hülkenberg became the unexpected winners of the greatest race in the world. 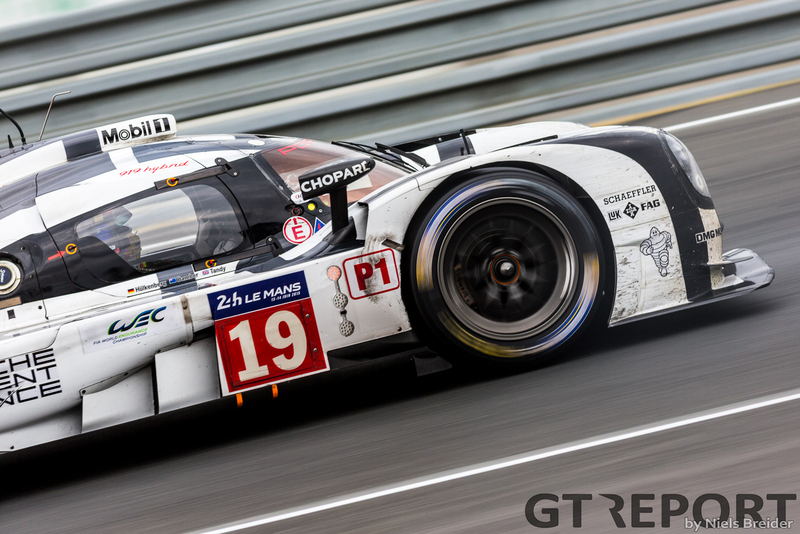 The young trio triumphed in the 24 hours of Le Mans with a faultless drive from start to finish, marking Porsche’s seventeenth outright Le Mans win. 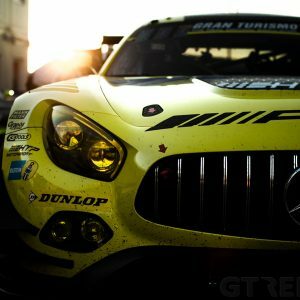 What these three guys achieved should not have been possible: zero Le Mans starts in LMP1, two GT starts only by Tandy, and two complete rookie drivers. 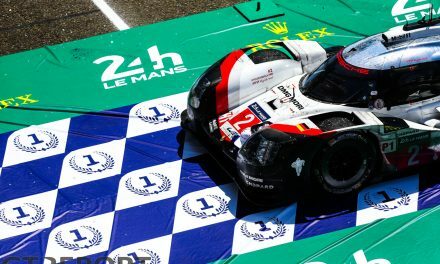 Bamber and Hülkenberg were in only their second ever FIA World Endurance Championship race when they took the biggest win of their career. 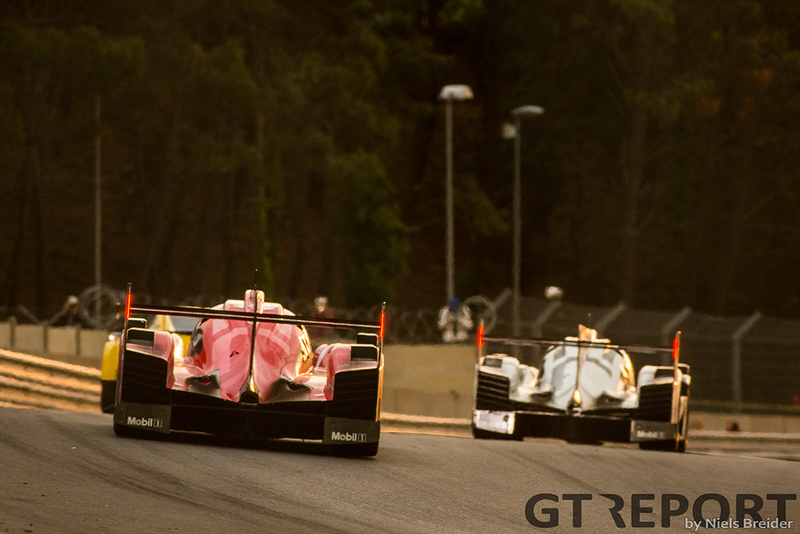 Yet there they were, leading the #18 sister car over the finishing line at shortly past 15:00 hours on Sunday. After many months of preparation, they finally took the green on Saturday. 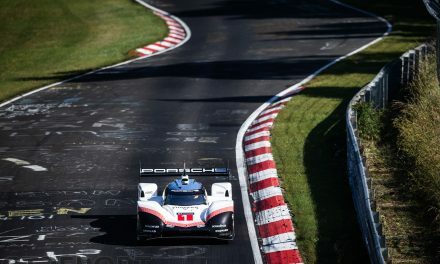 As Porsche pilot Timo Bernhard took off from the second place on the grid, he immediately left pole sitter Neel Jani behind, as the Swiss couldn’t get his black Porsche up to speed at the exit of Tetre Rouge. It didn’t take long before the lead group encountered the first GT’s. 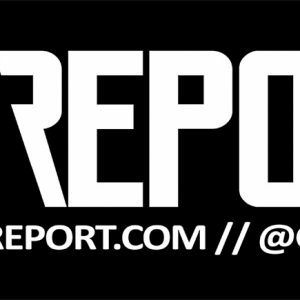 With Porsche’s red giant leading a group of 919 Hybrids and Audi’s, the six cars were slicing and dicing through slower traffic. 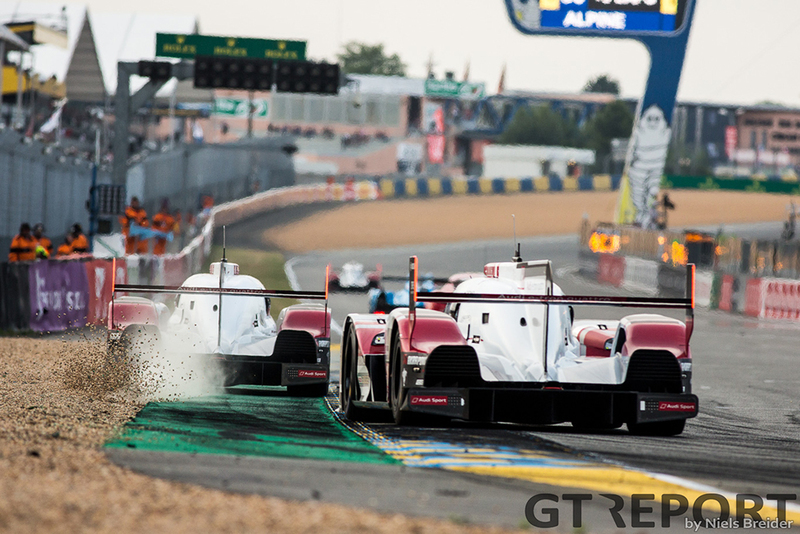 Then the inevitable happened: with pit stops coming up, André Lotterer decided to make the move for first place. 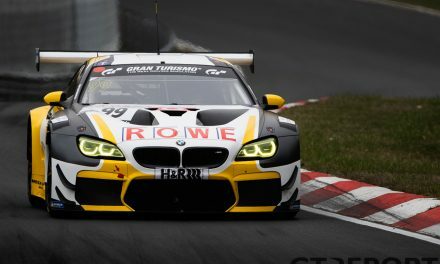 Coming from third position, it took the Duisburger just half a lap to storm to the front, showcasing his three-time Le Mans winning skills. 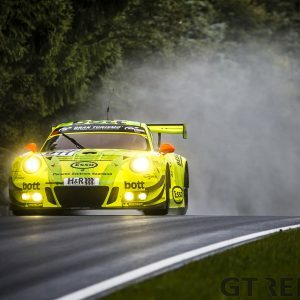 Sunset was exactly what Porsche needed. The cooler night temperatures, a track surface that had some more rubber on it: this is where the white 919 really came to life. Out of the dark the white Porsche emerged in the lead the next morning. Night was hell for some competitors—not so much for the number 19. 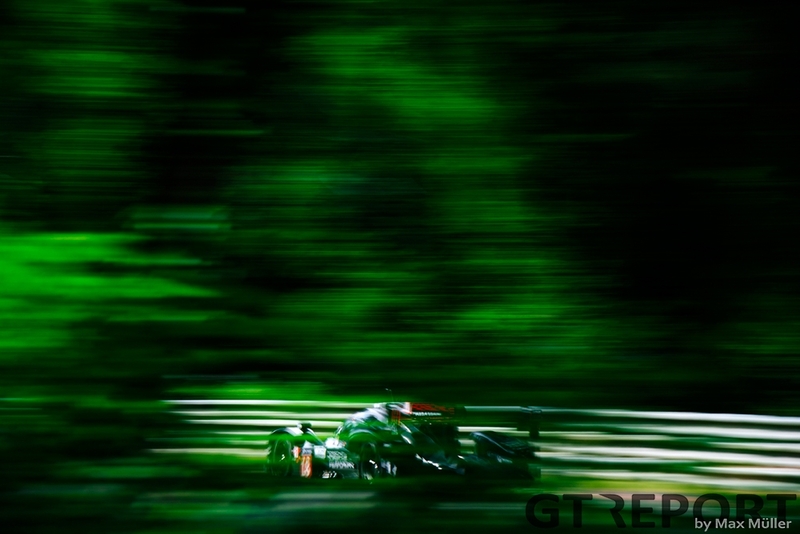 Audi’s low-drag R18 won the previous round in Spa-Francorchamps and showed it could finally take on the 919’s at top speed. But just as the white Porsche started to shine in the dark, the Ingolstadt brand was actually losing top speed in the colder temperatures. 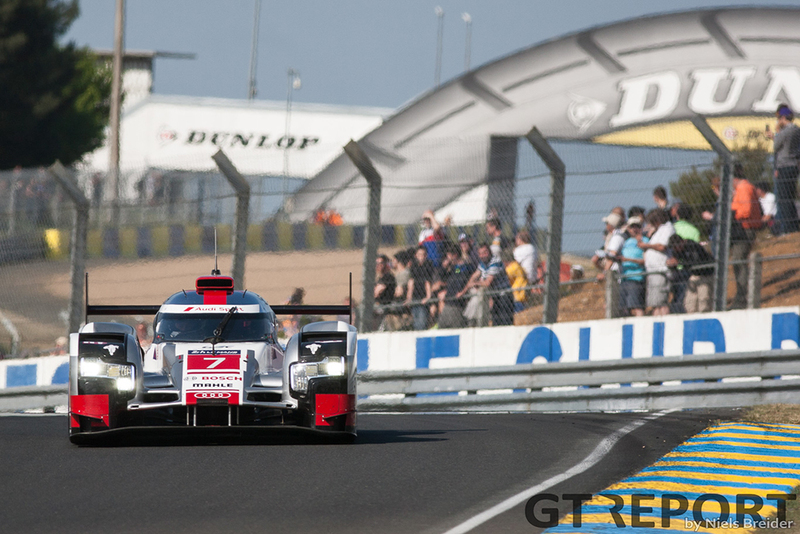 All hope was lost when after sunrise the engine cover of the #7 Audi came lose and the second unscheduled stop of the race dropped Marcel Fässler down into fourth place and several laps behind, shortly followed by a hybrid system issue that kept the #9 Audi of Marco Bonamoni, Filipe Albuquerque and René Rast from attacking the two leading Porsches. In spite of the speed coming back to them as the sun rose over the 13.629 kilometre race course, these issues proved any hope for the win fatal. In an era where technology is more reliable than ever before, even mere minutes wasted by repairs can be the difference between P1 and P3. Tandy, Bamber and Hülkenberg never put a wheel wrong all race long. 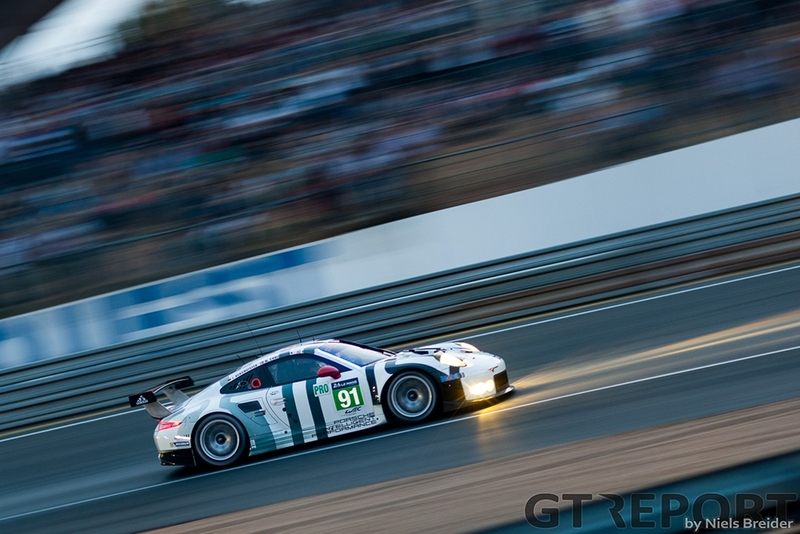 Even when the Porsches weren’t performing optimal during the day, the trio just bided their time, holding on until they could take full advantage of the night time and stayed faultless until the finish. The mark of true champions. 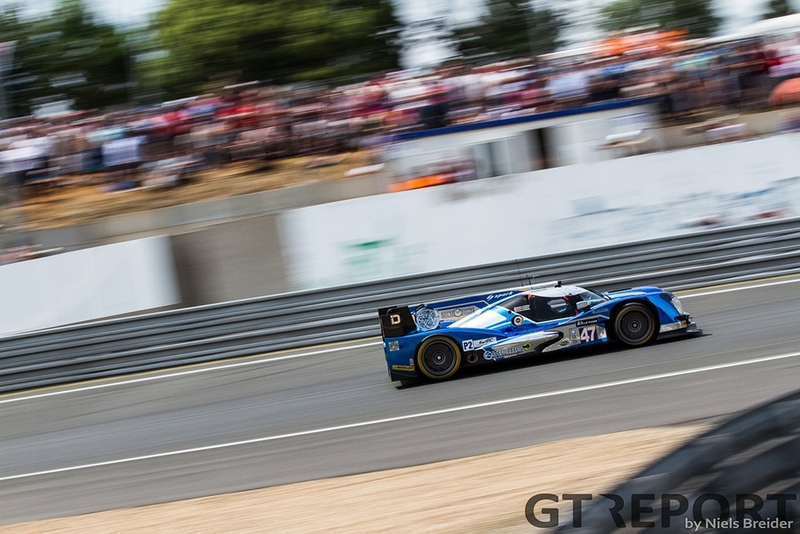 Porsche’s faultlessness was challenged only by KCMG in the LMP2 class. The Hong Kong outfit led pretty much all of the race and were untouchable for the competition. 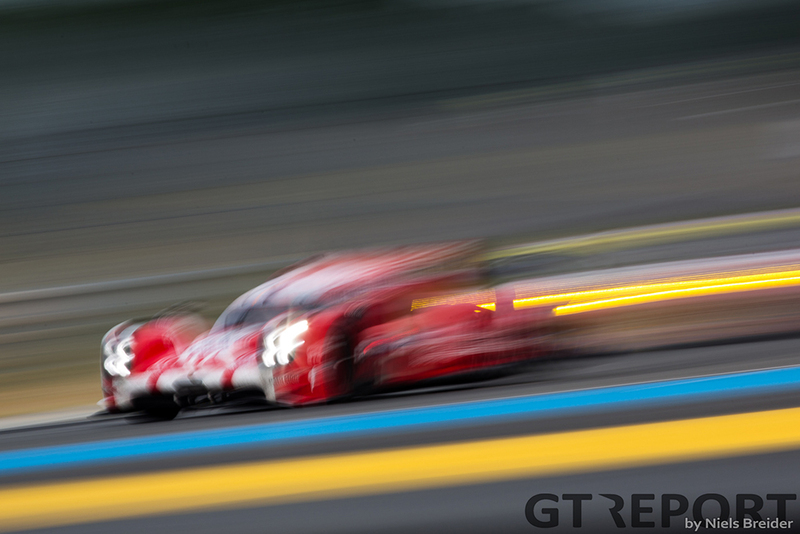 The only hiccup they had, and which must’ve made drivers Matthew Howson, Richard Bradley and Nicolas Lapierre undoubtedly nervous as it happened, was when the Oreca-Nissan stalled at Arnage, but continued on to the win. 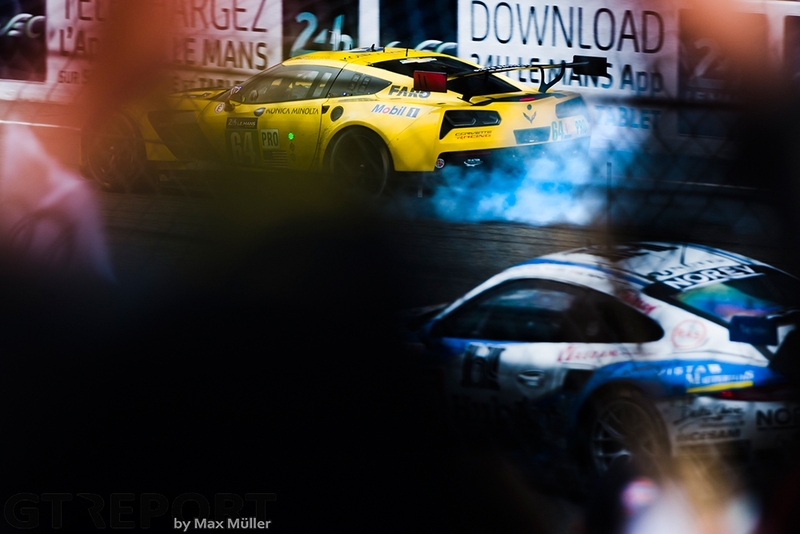 Much more dramatic was the battle for the GTE-Pro title. 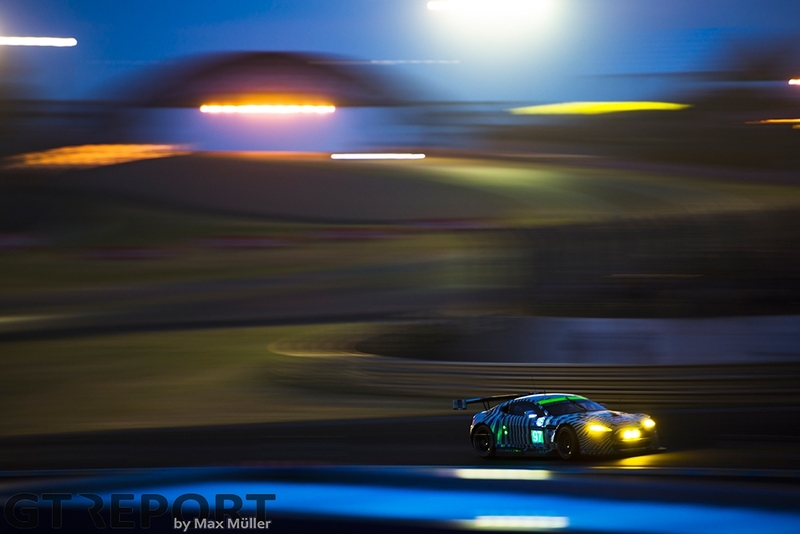 A three-way battle for the lead raged deep into the night between the Aston Martin Vantage V8 of Fernando Rees, Alex MacDowall and Richie Stanaway, AF Corse’s Ferrari 458 Italia driven by Toni Vilander, Gianmaria Bruni and Giancarlo Fisichella, and the Corvette C7.R with Oliver Gavin, Tommy Milner and Jordan Taylor behind the wheel. In the earliest hours of Sunday all went wrong for the leading Aston Martin Racing: as Rees came out of the pits after changing the brakes on his car, he crashed into the second placed Thiriet by TDS Racing Oreca LMP2. Unable to recover from the fifty minute repair, the Vantage trio had thrown away a great chance to win in their debut Le Mans. 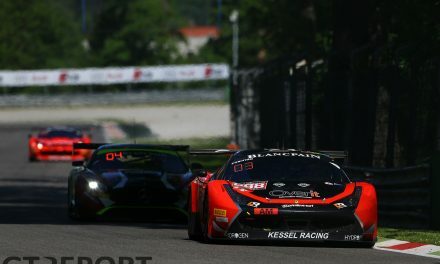 Without the Brits, the fight was reduced to Ferrari and Corvette, until with the finish in sight Vilander’s Ferrari suddenly lost speed and drove into the pits for a gearbox repair. Being the last one standing, Corvette celebrated their first victory in four years.